If Peru is in your bucket list of places to see before you chuck it, it’s likely you’ll need to be a bit more specific. 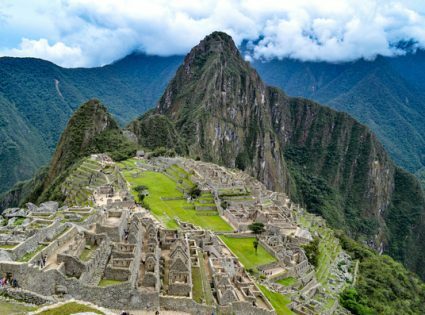 Trek the Inca Trail to Machu Picchu. But what many people don’t realize is that there are a number of alternative Incan trails to explore Machu Picchu. It depends on what you want to experience and how hard you want to push yourself physically. 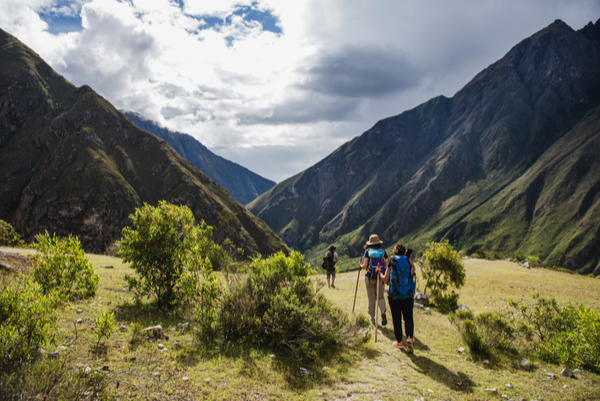 If all you want is to be able to say is that you’ve trekked The Inca Trail, then the Classic Inca Trail is for you. If you’d rather not be staring at someone else’s derrière for days, then I beg of you to explore all the options before committing. The 3 or 4-day Classic Inca Trail trek stretches 42 km up, down and around mountains to arrive at Machu Picchu for the big finale. Passing through Inca ruins, a cloud forest and the highest point of Dead Woman’s Pass at 4,200m, the storybook scenery will make up for the calf and knee pain endured on the monster stairs. Be sure to book ahead so you don’t miss out, as there are only 500 permits issued for each day and they can book out months in advance. These permits are not just for paying customers either, they include your porters and cooks too (which will double your party, at a minimum). The Lares Trek is quite similar to the Classic Inca Trail in terms of duration, altitude, and difficulty. 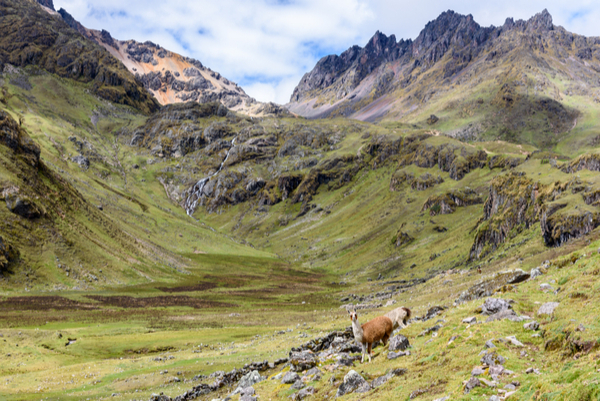 A few big bonuses on the Lares: it lacks the crowds, includes a dip in some natural hot springs and doesn’t have the never-ending killer stairs of the Classic trail. 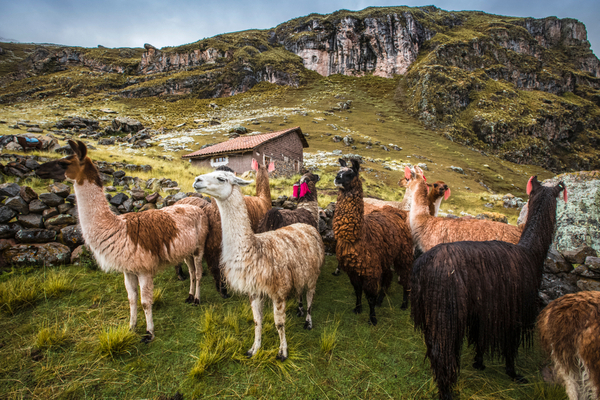 You’ll also see more llamas than humans, and share the trail with local villagers who still use the track for their daily needs. 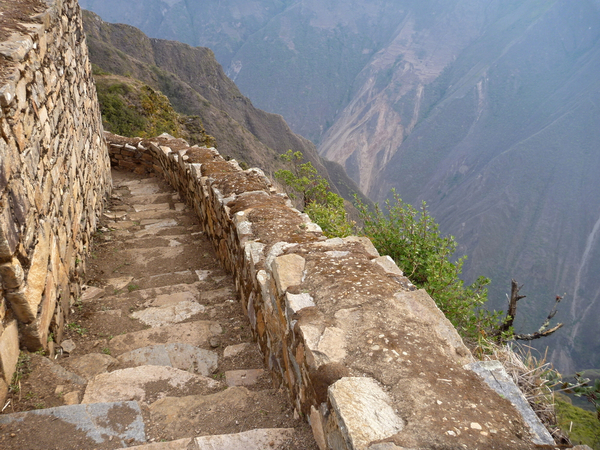 It’s a bit shorter, only 33kms long and ascends to a slightly higher altitude of 4,500m than the Inca Trail. On the Lares Trek, however, you do miss out on reaching the Sun Gate on the last day and catching that first sunlight falling onto Machu Picchu. Instead, you stay in the village of Aguas Calientes (or Ollantaytambo) and catch a bus up to Machu Picchu, where you can still trek to the Sun Gate but not for the photogenic sunrise. The advantage of not arriving at the Sun Gate for sunrise is that you are refreshed from a hot shower and a good night’s sleep in a proper bed, giving you the energy to Make the Most of a Visit to Machu Picchu. 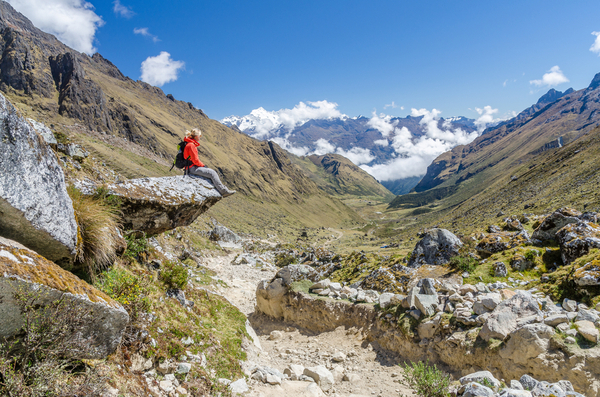 I think the Salkantay Trek combines the best of both worlds of the Classic Inca and the Lares trails. It’s a tad longer at 7 days but it includes 4 days trekking more ‘off the beaten path’ and then joins up to the Inca trail for the final 3 days. You get to experience a quieter trail for the first part of the trek, immersing yourself into the mountains and valleys without hundreds of people passing by you. And you also trace the Classic trail to finish at the Sun Gate for sunrise snapshots and that accomplished feeling. There is more chance of seeing the world’s largest bird on this trek, as you trek to the Incachiriaska pass at 4,900m which is the home of the Andean Condor. You also need to book in advance for this trek, as you need one of those 500 permits. This trek can also be shortened to just 5 days if you don’t want to join the Classic Inca Trail to the Sun Gate if so you don’t need a permit and can book when you arrive in Cusco. This 5-day trek is for those wanting a more remote, cultural and scenic experience. Choquequirao is another lost city of the Incas (like Machu Picchu) that has been rarely visited by tourists because of it’s remoteness and inaccessibility. Along the trail, you will come across many birds, wildflowers and even a Condor flying by if you’re lucky. A whole day is dedicated to exploring the ruins at Choquequirao, and if you’re not ‘ruined out’ by then, you could also add on a day at Machu Picchu before or after the trek. Making new friends along the Ausangate Trek, in Cusco Peru. Definitely a more strenuous trek, the Ausungate is a 7-day circular trek at high altitude. The small Andean village of Tinqui is the start and end point of the trek, as well as the lowest point at 3,800m. There are a number of high passes that are trekked over, two of them over 5,000m, so you really need to spend some time in Cusco acclimatizing beforehand. No Machu Picchu visit with this one, but you can easily add on an extra day and catch the bus up from Aguas Calientes like the Lares Trek. But you can expect everything else spectacular: glaciers, hot springs, picturesque villages, snow-capped mountains, and an abundance of llamas and alpacas. Most operators provide a horse for each person to ride, but the trek is very steep in parts so you can’t ride the horse for the entire time. You don’t need permits for the Lares, Choquequirao or Ausangate treks, and you can easily book these in Cusco when you arrive. If you have the time, consider the Salkantay Trek for a more unique experience as well as the bragging rights that come with the overlapping of the Classic Inca Trail.